A few days ago, Karanvir Bohra was detained at Moscow Airport due to passport damage and recently the actor met with an accident in the city. Karanvir shared a video of him briefing about the incident and said, “I’m experiencing every kind of adventure in Moscow”. 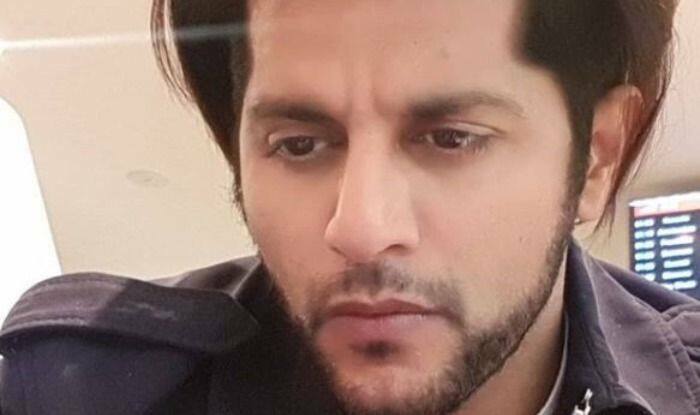 After being detained, Karanvir managed to issue a temporary passport. Just when everything was getting fine for the actor, the cab he was travelling was hit by another cab. Sharing the video on Instagram, the actor captioned it, WHY DOES THIS ONLY HAPPEN TO ME. Im experiencing every kind of adventure in Moscow.” In the video, Karanvir can be seen briefing about the incident as the police officials arrive at the spot. Earlier Karanvir took to his Twitter to thank External affairs minister Sushma Swaraj and the Indian Embassy in Russia and wrote, “I have no words to thank the @IndEmbMoscow 4 helping me get a brand new temporary passport and a visa.celebrity or no celebrity, i know one thing for sure, we Indians are in very safe hands when we travel abroad… thanks to @SushmaSwaraj and the #IndianEmbassy for their help”. Karanvir’s wife Teejay Sidhu, also took to Twitter to share her thoughts about the incident and wrote, “Indian authorities need to resolve these legal issues before a citizen to leaves India. Other countries are often strict with security protocols. What is one supposed to do after landing in a foreign country?”. On the professional front, Karanvir was last seen in the reality show Bigg Boss where he made it to the top five. He started his career as a child artist with the 1990 action film Tejaa.